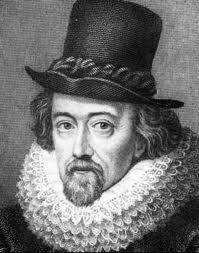 Sir Francis Bacon (later Lord Verulam and the Viscount St. Albans) was an English lawyer, statesman, essayist, historian, intellectual reformer, philosopher, and champion of modern science. Early in his career he claimed “all knowledge as his province” and afterwards dedicated himself to a wholesale revaluation and re-structuring of traditional learning. To take the place of the established tradition (a miscellany of Scholasticism, humanism, and natural magic), he proposed an entirely new system based on empirical and inductive principles and the active development of new arts and inventions, a system whose ultimate goal would be the production of practical knowledge for “the use and benefit of men” and the relief of the human condition.